Married at First Sight has provided some fantastic wedding car inspiration over the years, and this year is no exception. The wedding car is a highlight on Married at First Sight weddings, as it is a key part of the bride’s much anticipated arrival. Just like in a real life wedding, the wedding car or limo ride on Married at First Sight is filled with emotions – expectation, joy and nerves are just a part of the mix of feelings we have witnessed year after year on the show. 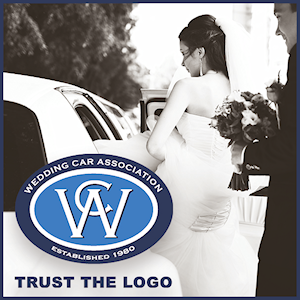 At the Victorian Wedding Car Association, we know our members set standards within the wedding transport industry. Many of these esteemed wedding transport providers have won multiple awards for their service, and some have even been selected to provide wedding car hire for Married at First Sight. We’d like to give a shout out to those members whose wedding cars and limos have been featured on this highly popular show over the past six years. 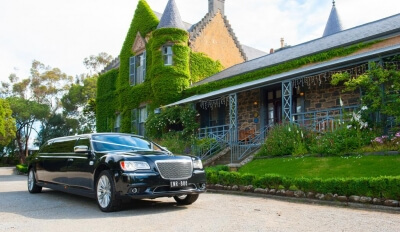 In Season 2 of Married at First Sight (2016), Erin was transported to Overnewton Castle in Melbourne’s West in this elegant and luxurious limousines. Enrik Limousines is one of the most awarded members of the Victorian Wedding Car Association and has featured in MAFS every year except for the current 2019 season. This year, in Season 6, we saw Mark and his father hop into the iconic XY GT Limo by GT King. The story that we were told regarding this wedding limo choice warmed hearts all over Australia. Mark’s parents had arrived at their wedding 46 years earlier in the exact same cars, and they were hoping it would be a good omen for Mark and Ning’s wedding. A classic wedding calls for a standout car, and Hot Rod Heaven’s 1929 Dodge limousine did just that in Season 5 (2018) of Married at First Sight. Hot Rod Heaven has been providing wedding car hire throughout Melbourne for over 20 years. Being chosen to appear on a television show such as MAFS is an honour – it means that these cars were chosen for their stunning impact and quality service. All of the Victorian Wedding Car Association members pride themselves on beautiful vehicles and their commitment to making wedding dreams come true. Check out our wedding car directory to find your best wedding transport fit.